Bookings at: ssebastiansandberg@gmail.com Gigs - 2016 - 2.4 Carcelot / Finland - 29.4 Human evolution teaser / Finland -30.4 Modem Teaser Oslo / Norway - 28.5 FIRST PIECE of the PUZZLE SYMPHONY Tour / Finland - 3.6 Celebration of life and happiness(with friends) / Finland - 4.6 Aura open air / Finland - 15.7-20.7 KaLi MeLa Festival / Spain - 25.7-31.7 Modem Festival / Croatia - 24.8-28.8 Human Evolution Festival / Italy Gigs - 2015 -30.1 Epic soup / Tampere -6.2 Goa psychedelic / Helsinki -3.4 Modem pre party / Helsinki -1.5 Modem pre party / Germany -9.5 Stomping Goats no.3 Viking Attack / Austria -15.5 Pyrästein parahdus vol. 2 / Turku - 6.6 AURA open air / Helsinki -18-21.6 Solstitium / Mäntyharju -2-6.7 Andra Värden gathering / Sweden -23-26.7 Waha Festival / Romania -29.8 Stomping Goats: mountain blast / Germany -2-7.9 Sunny Moon Festival / Bulgaria -12.9 Aamu Ry: Ruska Open Air / Jyväskylä -25.9 Psykanoid Creations: Heil 2 Gaia / Norway -13.11 Ins Mitte: TRIPLICIS NATALIS / Germany -14.11 Aura 4 years / Helsinki -21.11 The 4 Elements / Netherlands -5.12 Stomping Goats no.5: Ritual Time / Austria -31.12 7th Heaven Lab: New Year Extravaganza / Helsinki Bio: DJ Dogora is a music project created by Sebastian Sandberg, born and raised in Finland. He is known for his dark organic soundscapes. He has a unique skill to provide intense atmospheres which bend your body and mind. His passion for Psytrance started around 2004 when he got to know the enthusiastic Finnish scene. After some years on the dance floor he felt ready to take over the stage, in 2011 he played his first gig at a club in Helsinki. Since that magical experience, he has been committing himself to the cause more and more. 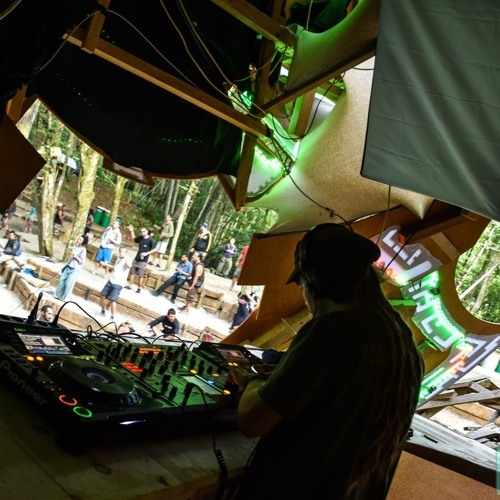 He has been performing in Psytrance festivals around Europe and has even joined the Finnish Aura Crew as a party organizer.